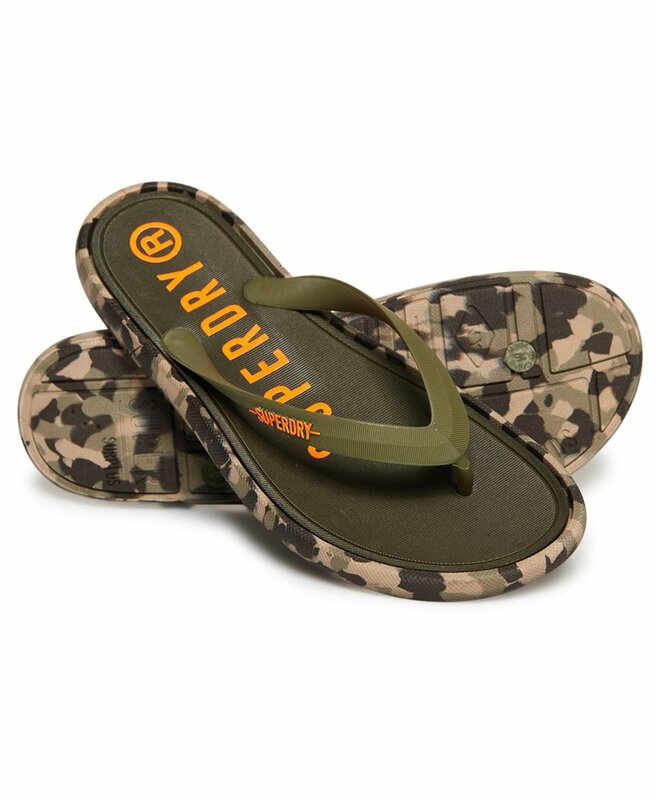 Superdry men’s Surplus Goods flip flops. A classic thong style pair of flip flops that are perfect for beach days. Featuring a large Superdry logo printed across the base, as well as logo on the upper strap and a camo design around the edge of the sole.